Chillmark Guest House | Shelby White - The blog of artist, visual designer and entrepreneur Shelby White. 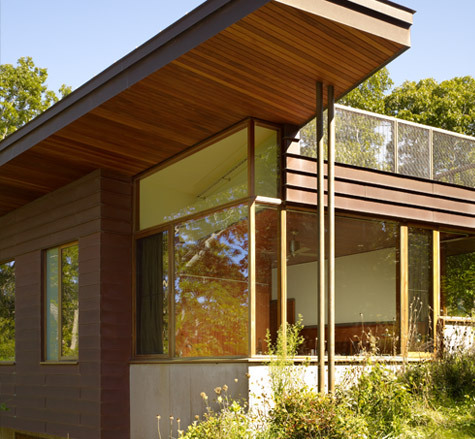 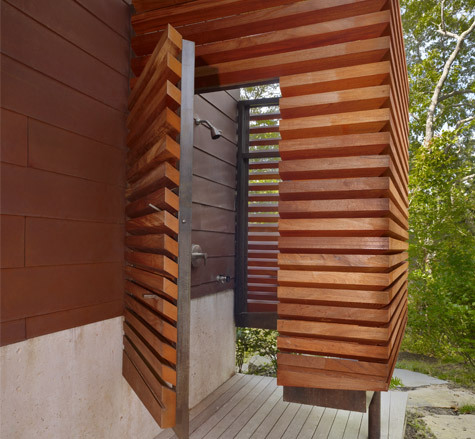 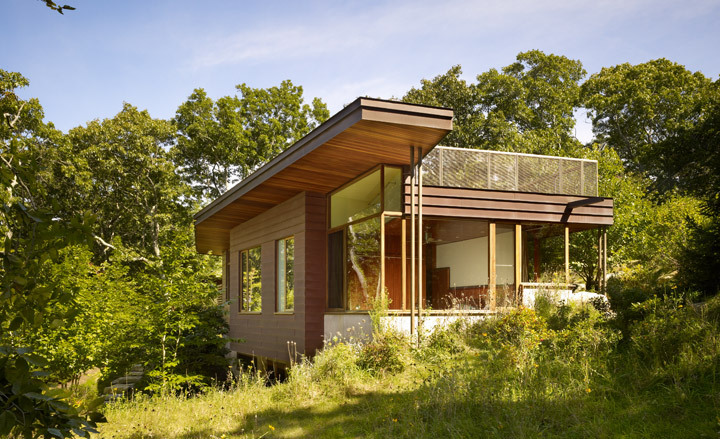 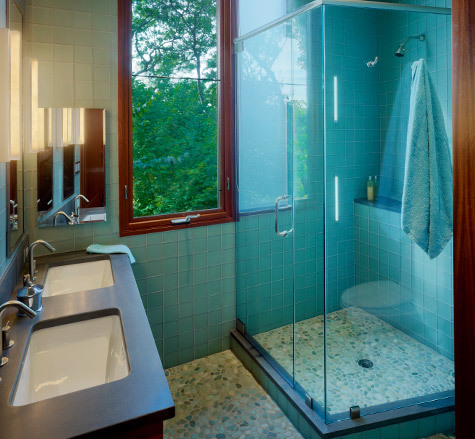 This 800 square foot guess cabin was designed by Charles Rose Architects in Massachusetts. 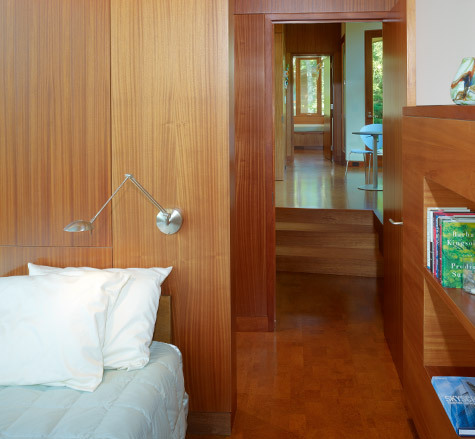 The house has two bedrooms each accompanied by a bathroom and a common kitchen/dining area. 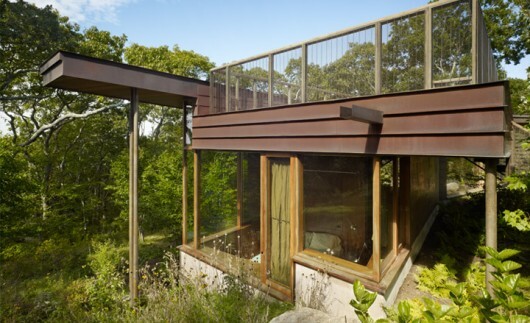 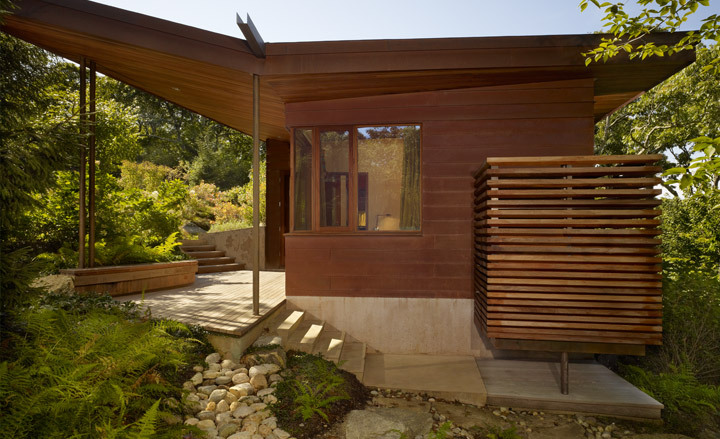 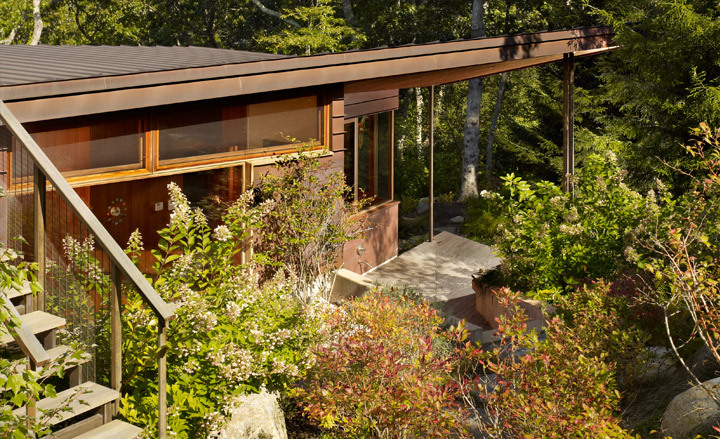 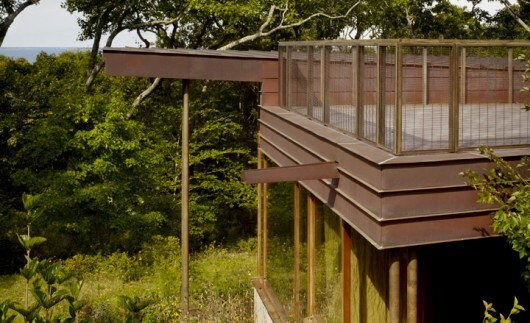 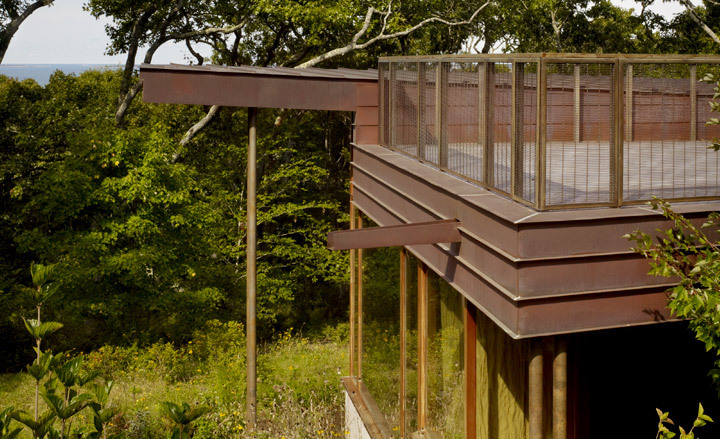 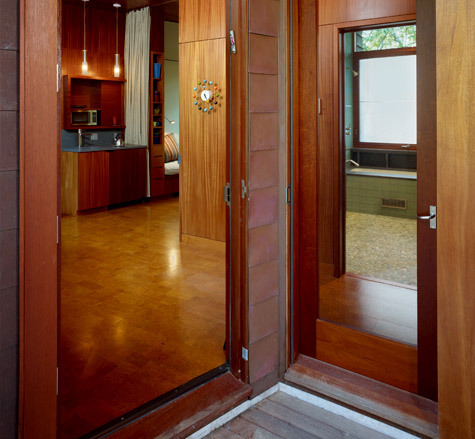 Stone, copper, cedar and fir were used on the exterior of the home while cork, mahogany and teak were used for the interior. 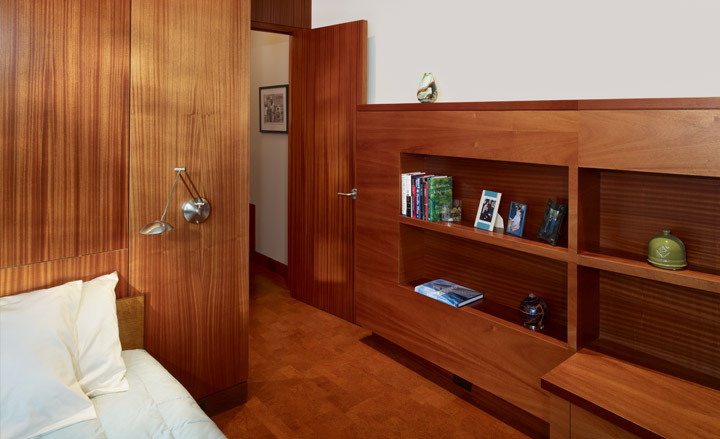 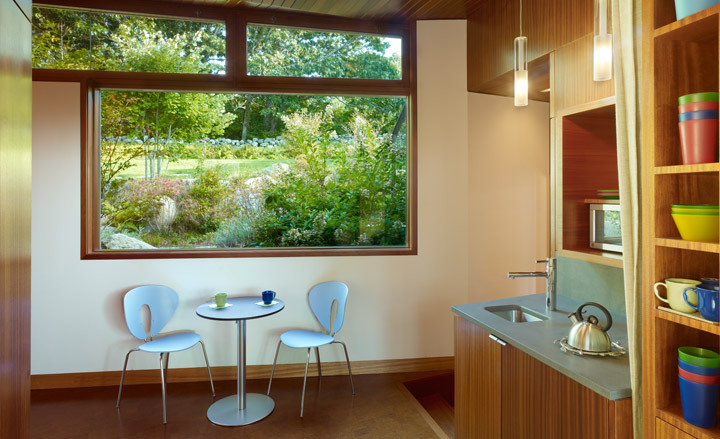 This combination executes a color palette reflective of the surrounding area as well as adding a mid-century flavor.